Wow! 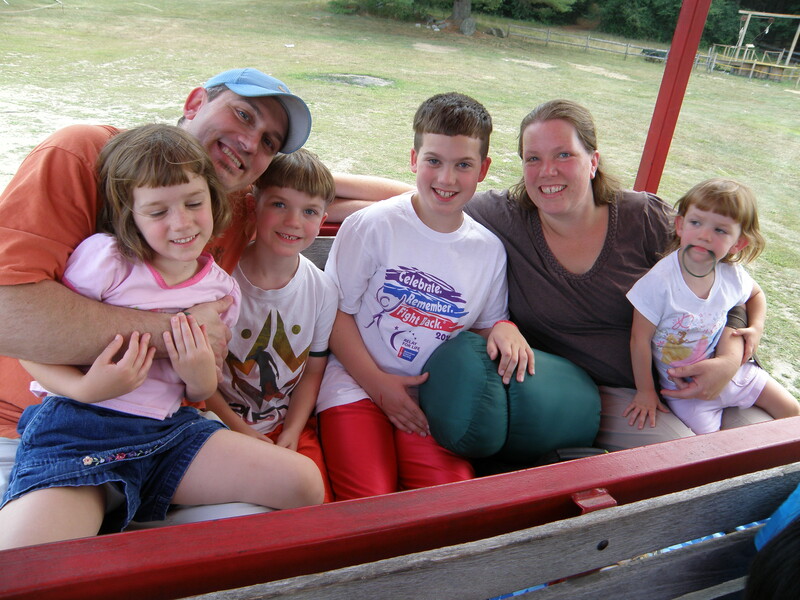 What a week we had last week camping at Word of Life Campground in Pottersville, NY. 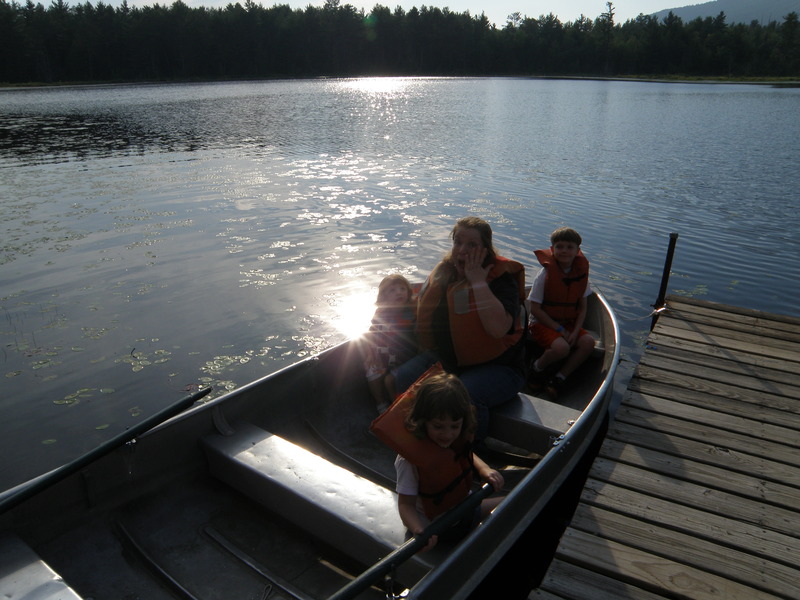 There is something about the adirondack mountains, they are majestic and inspiring and oh so calming to my heart. This was our home for the week! We set up our site first and then took our son over to the Ranch to get registered. 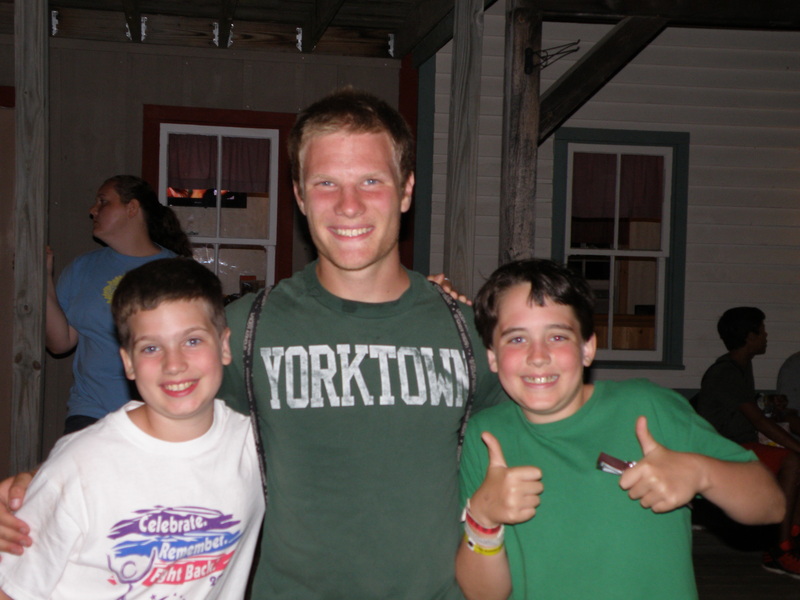 This was both boys first camp experience. They were SO excited and both loved their week. Our 6 year old was a day camper this year but already expressed his desire to do overnight camp for next summer. 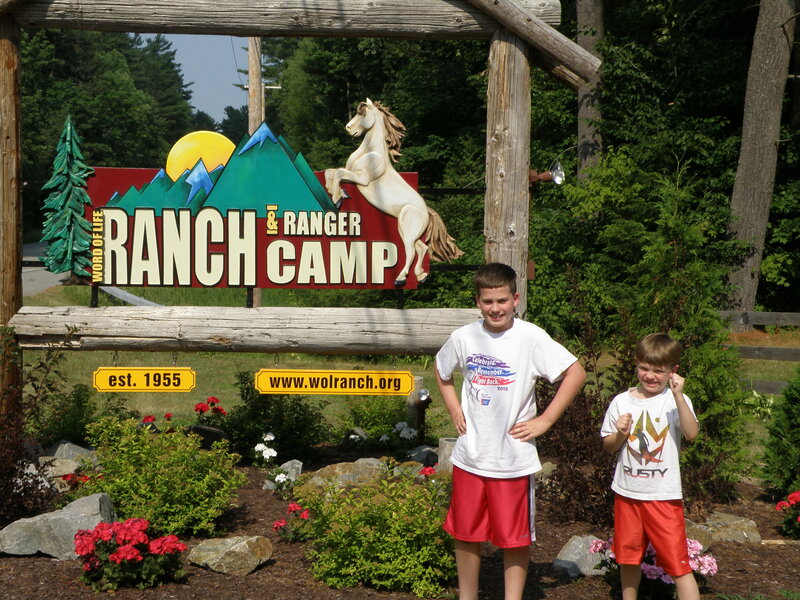 Once registered we hopped on the Ranch train to set up the cabin and meet the bunkmates for the week! So much so, that our little one fell asleep! 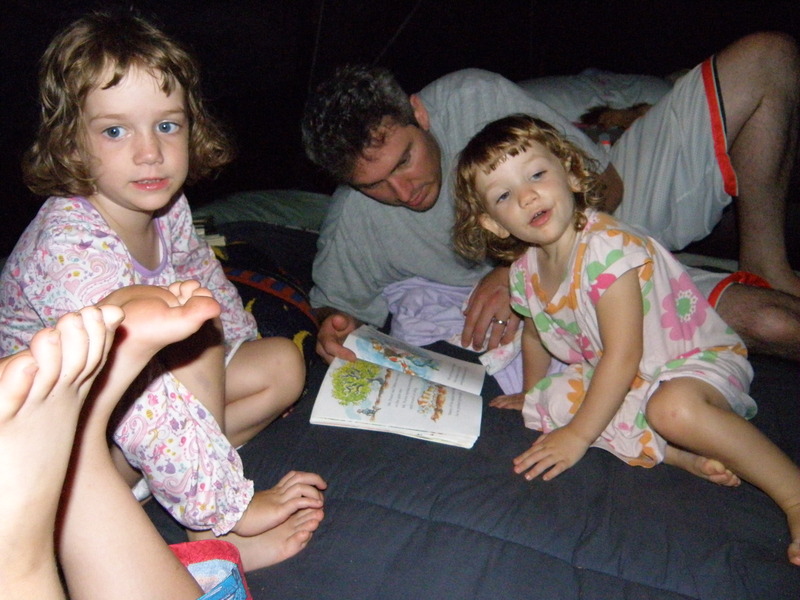 Nightly story time with Daddy, a definate HIT! We were so thankful he could come with us, originally he couldn’t get the time off, but someone needed to give up their week and so he was able to switch! Yay! This is our camp counselor for the week, he is a second year student at Word of Life and also raising support to be a missionary to Brazil. We look forward to knowing him for a long time and supporting and following his ministry. 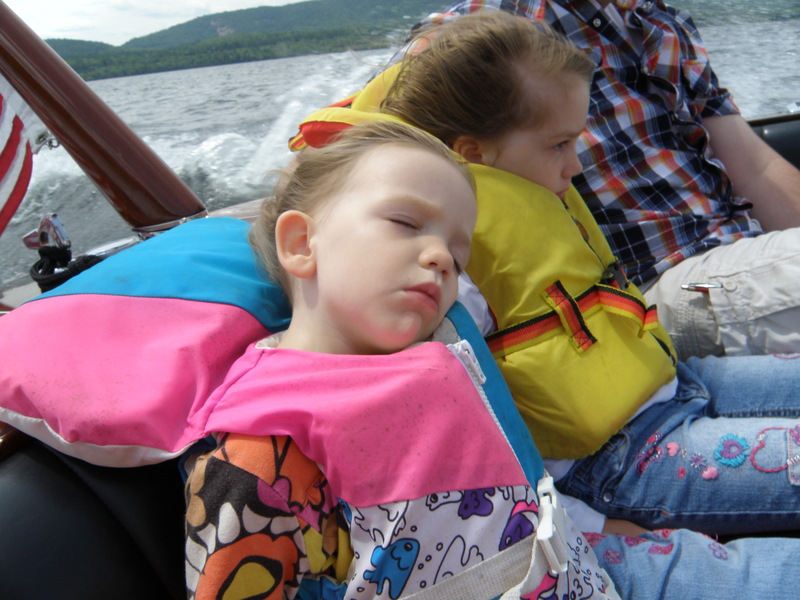 Hope you’ve enjoyed a peek at our week, we had lots of fun even though it rained a couple of days! 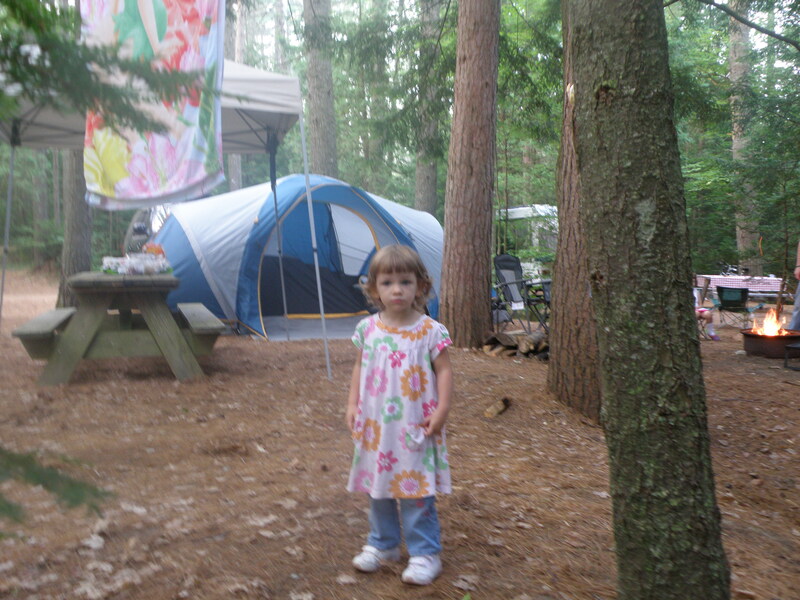 We have a camping trip coming up and it’s my first time camping since a class camping trip I was on in the 8th grade! Ha! This time it will be my husband and I and 3 of our children. 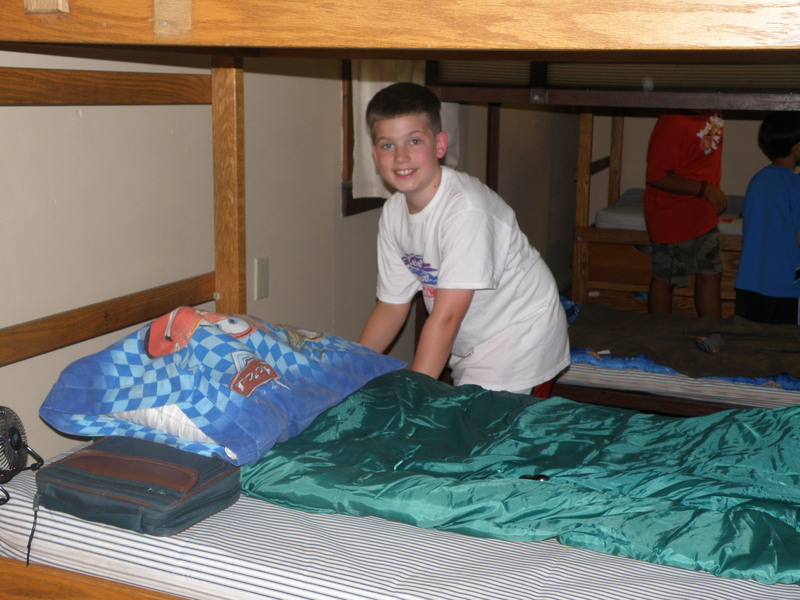 (ages 6, 4, and 2) Our 10-year-old will be down the road at his first week of overnight summer camp! 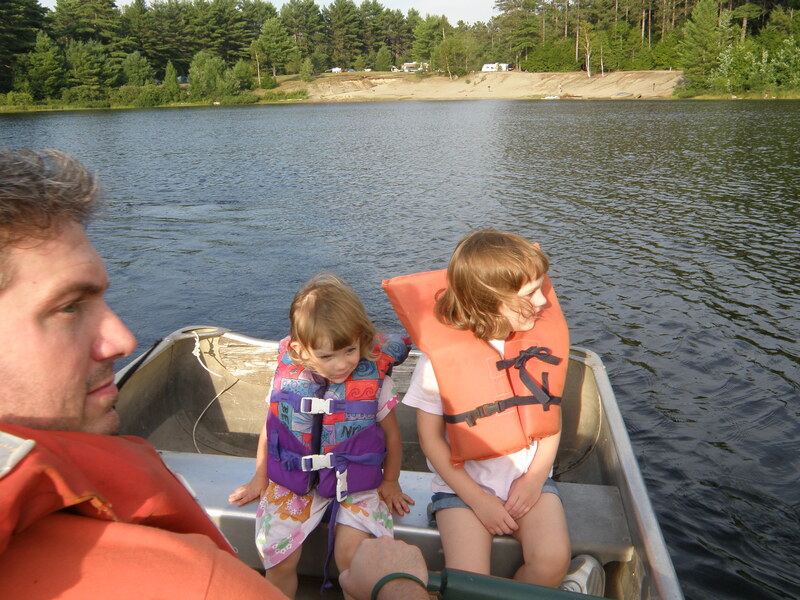 We’ll be at Word of Life Family Campground, my husband and I met as students at Word of Life in 1995 and haven’t been back since 1997. We’re looking forward to reminiscing and sharing stories with the kids. Our 13 year wedding anniversary is this month too! 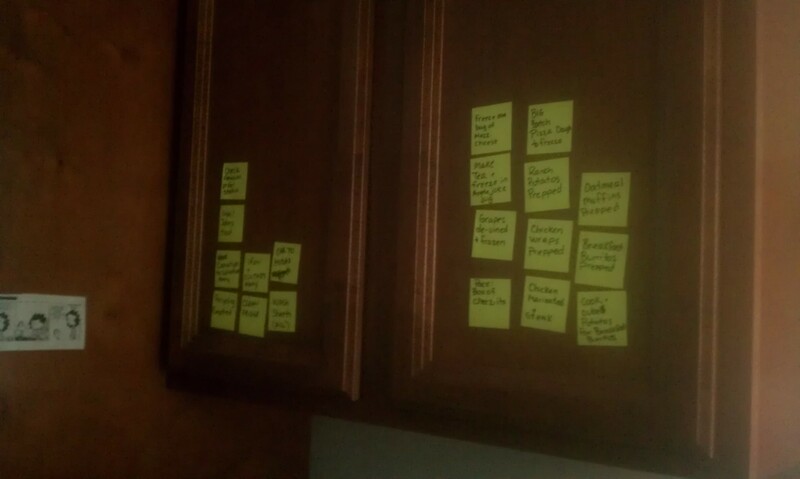 Some of the things we’ll be working on to prep ahead are marinated chicken and steaks, foil wrapping some ranch red potatoes, breakfast burritos individually foiled and frozen, oatmeal muffins, and a couple of other things. I’ll share as we go along what worked and what we tweaked. I have bottles of water frozen and ready and will be freezing grapes as well. Anything to help keep the cooler cold and feed us well! I am happy to say I don’t even have hot dogs on the list of meals! We’ve set up the air mattresses we’ll be taking in the basement and have had weighted items on them for a few days to make sure they are hole-free as well! Being prepared with the right items is great, but not if they are defective! Thankfully they are still at the same firmness that we put them up with! Our kids seem to pop anything that can be blown up so this is a wonderful thing! The littles that will be with us each got a special backpack (we home school so this is a BIG deal) and they will bring some of their favorite items for quiet moments throughout the week. 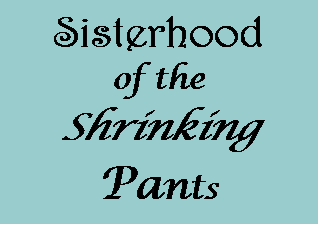 Any tips you might have feel free to share, if I don’t use them, one of my readers might! It’s summer and some are planning staycations, but many will brave the roads or the airports and head away for an adventure. 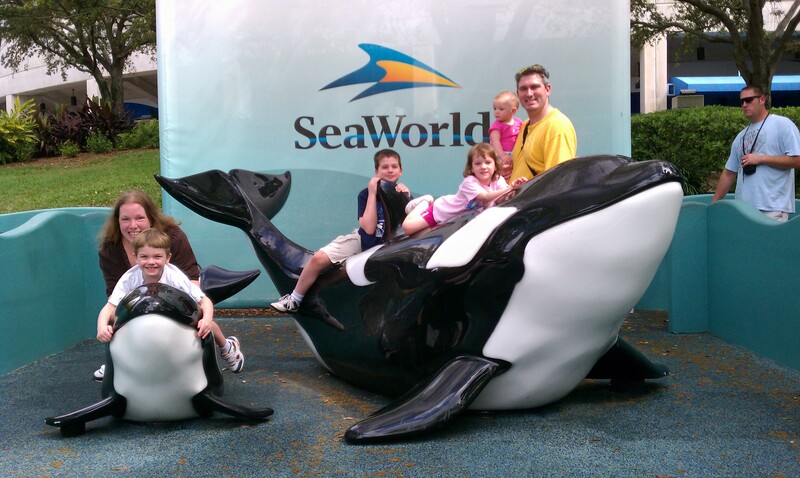 If you are heading to Sea World I recommend taking time for one of the behind the scenes tours, you can read more about them here. We took the behind the scenes tour as a family and loved the experience! 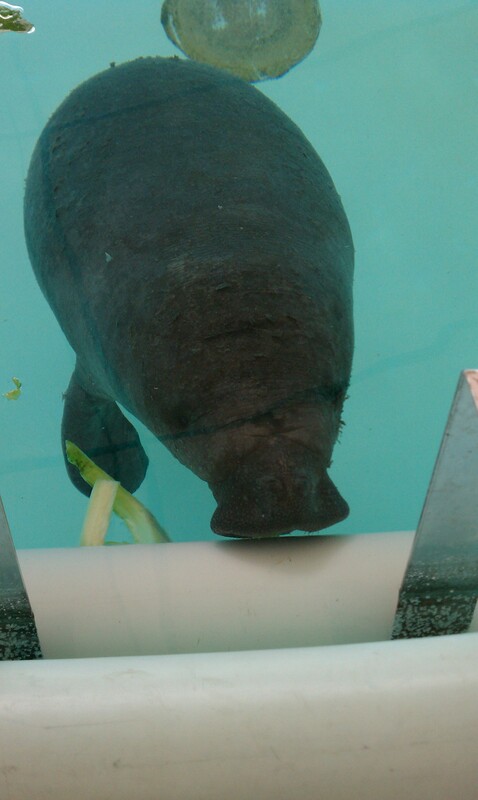 We got to go see the tanks where they bring animals to rehabilitate them, which at that time included a blind sea turtle, an abandoned baby manatee, and a few dolphins. 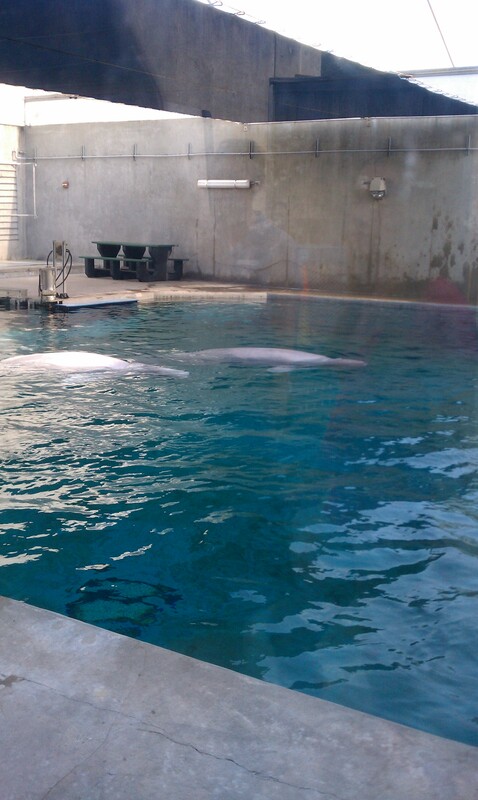 This is also where they put some of the dolphins for a “time out” if they start getting too aggressive with the others. 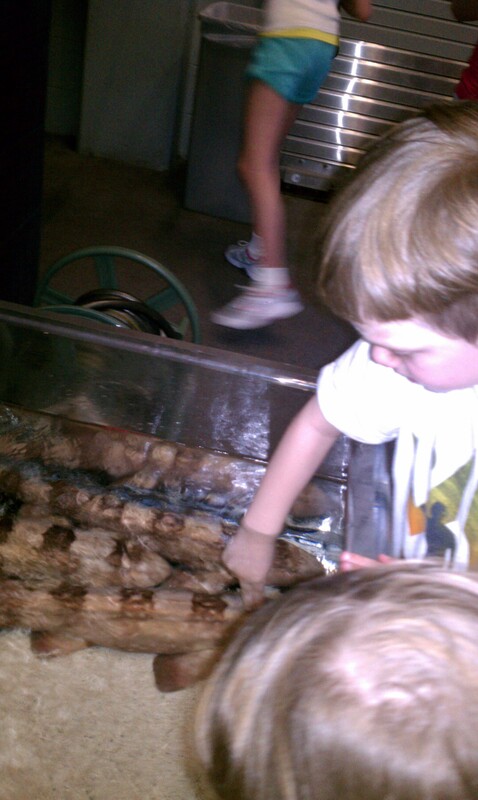 We also were able to pet small sharks, a very cool experience for all of us. They took us by bus/shuttle to each different attraction to go behind and learn more about them, the beluga was another fun stop. No touching here, but we enjoyed it anyway. The highlight and last part of the tour for us was the penguin house! We learned here that penguins have no bladder to hold waste so don’t stand behind them! 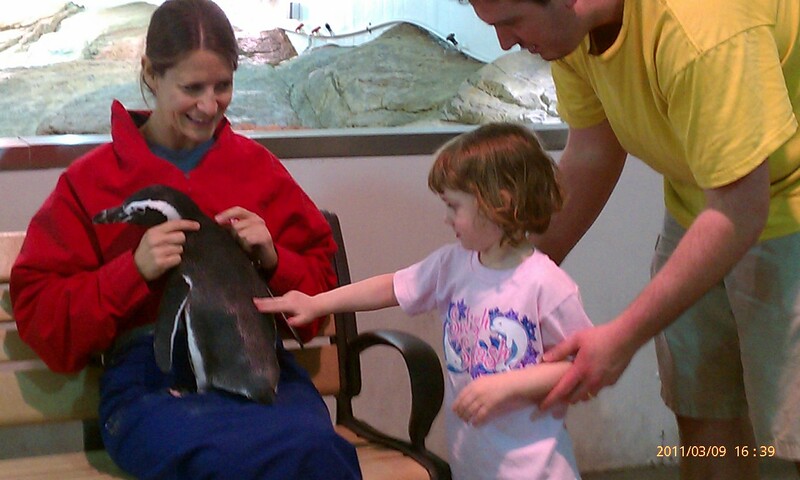 😉 We all got to pet a penguin and they are SO soft! Lots of fun memories for all of us. 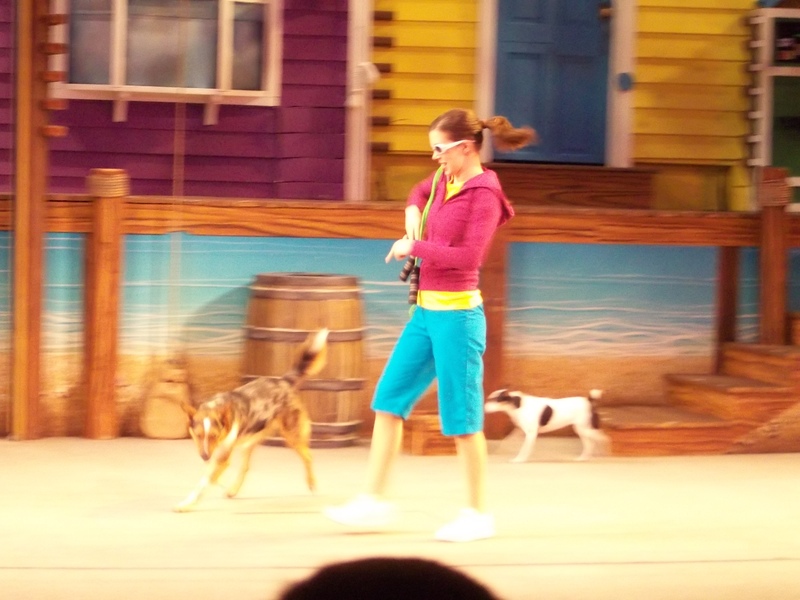 We also LOVE the Pets Ahoy show, some don’t go to this because it’s not sea life, but these pets are so fun to watch! Enjoy your vacation where-ever you go or stay! I have been continuing on with my Made To Crave book/Bible study and also listened to Bob Harper’s book, Are You Ready?, and I am excited to say that over the last 2 weeks I have lost 5 pounds! My ultimate goal is to get back down to where I was on our wedding day (150), which is still 62 lbs away, but I learned from Bob’s book that I need to set smaller goals for myself and stop being so panicked and hard on myself about my body and my food choices. So my first smaller goal for myself is to get out of the 200’s and get to 198. So far so good! I learned I need to make deliberate choices about what we eat… because we all love simple indulgences that can be eaten mindlessly here at our home, I need to be careful even purchasing such items and then if I do partake to count out an actual serving and note my calories. Keeping prayer and God’s promises to care for all my burdens has been a wonderful part of this journey. Yes, even struggles with weight loss is a burden He does care for and will carry for me if I surrender myself to Him. I have some friends that have joined this journey and we are all at different stages in our journey so sometimes I feel almost a justification to fall to temptation since actually taking time out to be on the phone and accountable to each other seems one of the harder parts of this process, but then I remember that it isn’t for that accountability friend that I am determined to have success in this particular study/challenge. My desire is to learn more about why I make the choices I make, whether with food or activity and how those choices affect my health here and now and also how they affect how I communicate with/depend on God. I am accountable to God first and foremost, I have asked Him to help me achieve this goal and if I don’t it won’t have been HIM that failed me, but me that failed to keep my focus on His power and authority in my life vs. foods power. The whole chapter of Matthew 19 is both encouraging and challenging to ask myself what I am willing to sacrifice to follow Christ, to be available completely for His use and Glory. It was a sacrifice that the rich young man in the passage was sad to be asked of, sacrificing his comforts financially was too much for him to cope with and he went away sad. I know it’s wholly different to sacrifice wealth vs. sacrifice eating foods that don’t benefit, but it’s a sacrifice of this comfort food that will allow me to better know His abilities to care for me and use me more completely. So how are you doing? Don’t be discouraged, start again if stopped and we can talk from where we both are. Encouragement doesn’t have to come from someone in the same stage as you and each one on the journey can encourage the other no matter where they fall in line. 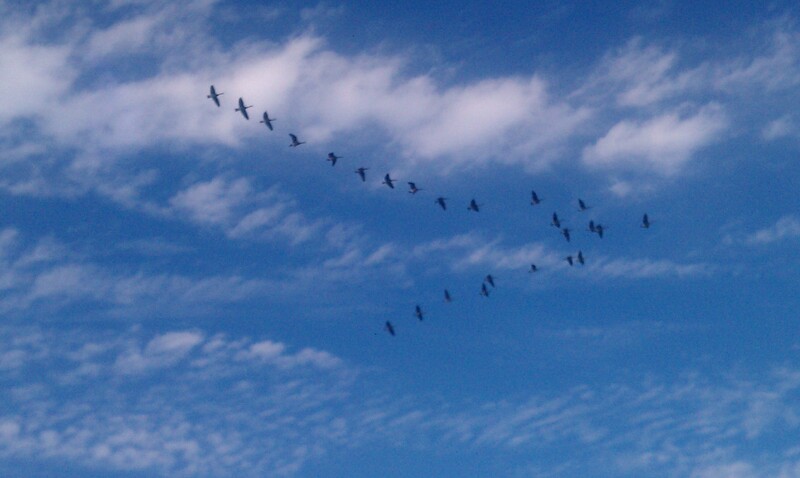 (Just look at traveling Geese!) Forgive yourself and move on, we weren’t created to live in guilt or regrets, multiple times daily I give my desires back to God and ask for help.